Was heavily damaged by fire, and beached in the Red Sea off Perim after a gunfire action with the Italian submarine Torricelli. Declared a constructive total loss. The Italian submarine Torricelli was forced to the surface and sunk off Perim in gun-battle by the British destroyers HMS Kandahar, HMS Kingston, HMS Khartoum and the British sloop HMS Shoreham. 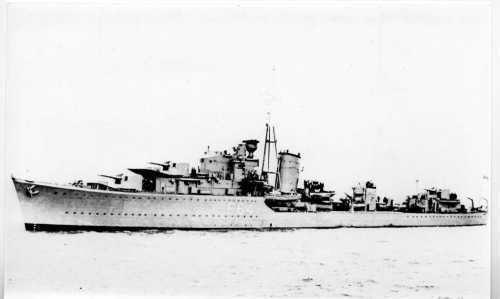 Khartoum and Shoreham were hit by shells from the Torricelli. Khartoum was destroyed by fire a few hours after the battle.